$25,000 Asian sportscars go head to head at the hands of Autoguide.com. Given how evenly matched these sports cars are, we&apos;re surprised this is the first time we&apos;ve seen a head-to-head battle between the Scion FR-S and Hyundai Genesis Coupe. 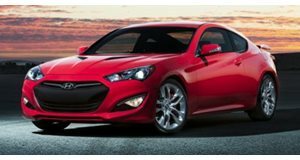 These are, after all, the hottest affordable RWD sports coupes on the market: the Scion FR-S born and bred in Tokyo, and the Korean-raised Hyundai Genesis Coupe 2.0 Turbo. 274 horsepower and 275 lb-ft of torque is generated by the turbocharged four-pot Genesis, whereas the free-breathing 2.0-liter flat-four in the Scion manages 200 hp and 151 lb-ft. So which is fastest on the track, the best balanced and most fun to drive? And most importantly, how is $25,000 best spent? Autoguide set out to answer these questions and more. Check out the comparison video to see what they found.